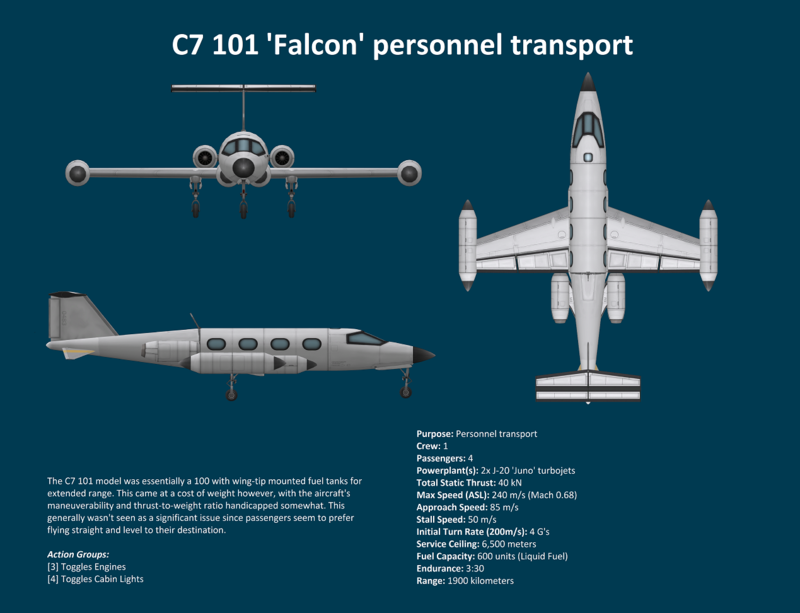 The C7 101 model was essentially a 100 with wing-tip mounted fuel tanks for extended range. This came at a cost of weight however, with the aircraft’s maneuverability and thrust-to-weight ratio handicapped somewhat. This generally wasn’t seen as a significant issue since passengers seem to prefer flying straight and level to their destination.